More and more people are choosing cremation over burial. Fifty years ago, only around four in 100 people were cremated, with the vast majority of people preferring burial. 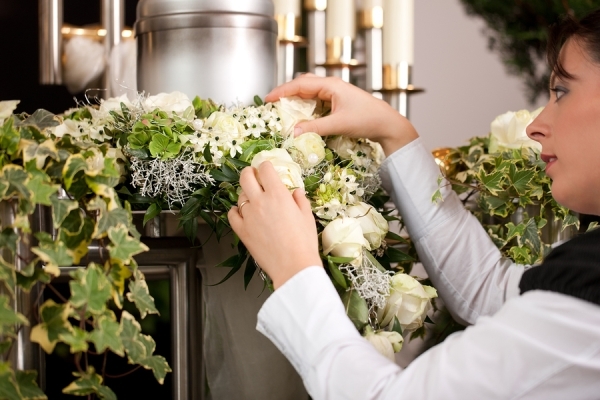 Today, the figures look very different; according to the National Funeral Directors Association’s most recent figures, the split between burial and cremation is around 50/50, with a very slight lean towards cremation. That figure is expected to increase to around 70/30 in favor of cremation by 2030. In some areas of the US – notably the Pacific Northwest – that figure has already been reached. That preference can be down to a specific wish in the will of the departed, religious reasons, the wishes of the family, or a whole host of other reasons. When you consider how many reasons there are for choosing cremation – and the benefits behind those choices – it’s easy to see why so many American families prefer it to burial. Here are just a few of the strongest reasons to consider cremation. For many families, burying their loved ones is simply not a realistic financial option.When you compare the cost to that of burial, cremation services are usually far cheaper. In fact, a funeral involving cremation, on average, costs roughly 75% less than a funeral that involves burial. The costs involved in a funeral may also be exacerbated if the estate and financial affairs of the departed are complicated. In some instances, debts are transferred, or inheritance money may be lower than expected; so for those left paying the funeral bill, even the longest-standing plans for a burial may be abandoned in favor of cremation. The death of a loved one can serve as a reminder that time is a valuable thing. In the event of a person’s passing, time constraints can play a role in the choice between burial and cremation. Usually, a burial must take place within a certain number of days following the deceased’s passing. This is largely down to practical biological reasons – with ten days usually the maximum period between death and burial. This doesn’t allow much time for family and friends from out of town to make travel arrangements to attend the funeral, especially in the case of an unexpected death. In some religions and cultures, the departed must be interred within a certain timeframe after they have passed away – even though there is no stipulation as to whether they must be buried or cremated. In these cases, cremation is also favored over burial as the more practical and timely method for meeting religious requirements. Putting human remains into the ground is not great for the environment, mainly due to the use of formaldehyde during the embalming process. Land use is also an issue, particularly in some of the world’s most densely populated countries. Using cremation services alleviates both of these problems – ashes can be scattered anywhere (within the local area’s bylaws) with little or no effect on the environment.